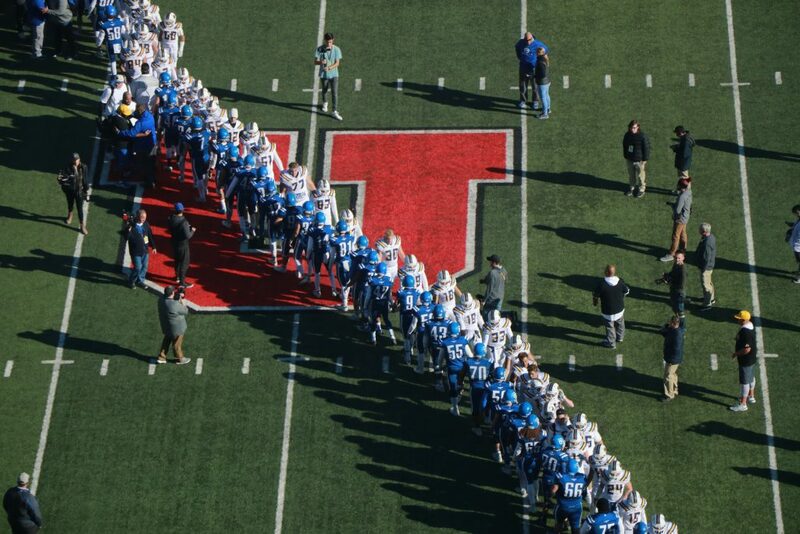 SALT LAKE CITY — Orem High School’s offensive juggernaut proved too much for Dixie to stop, as the Tigers overpowered the Flyers 60-13 in the 4A state championship game Saturday. 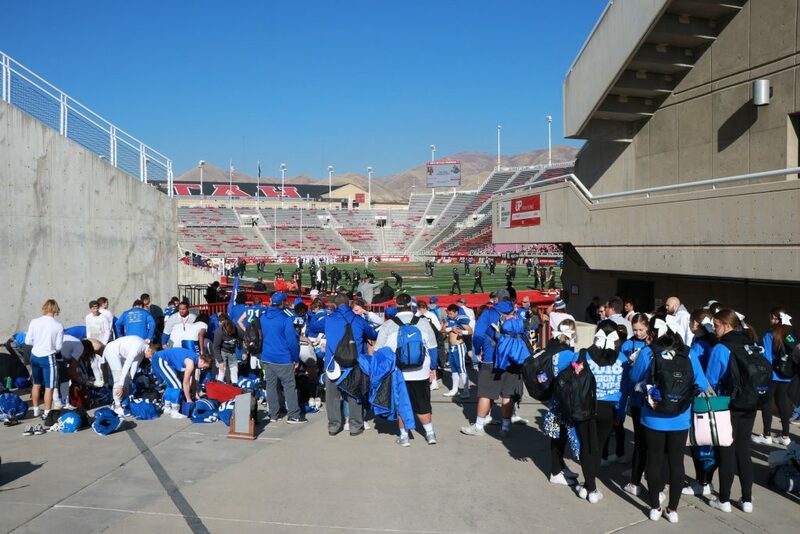 Playing at the University of Utah’s Rice-Eccles Stadium for the second straight week, Orem dismantled Dixie in much the same way the Tigers had Pine View in the previous week’s 62-20 win over the Panthers. 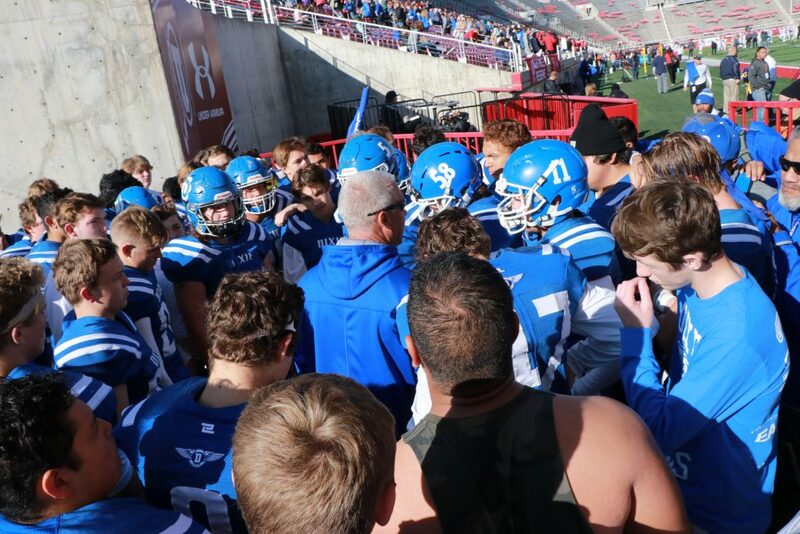 Orem’s high-octane offense scored a remarkable 248 points during its four-game playoff run, an average of 62 points per game, as the Tigers cruised to their second straight 4A state football title. The Tigers pounced to an early 7-0 lead, thanks to a 14-yard TD run on third down by Orem quarterback Cooper Legas. 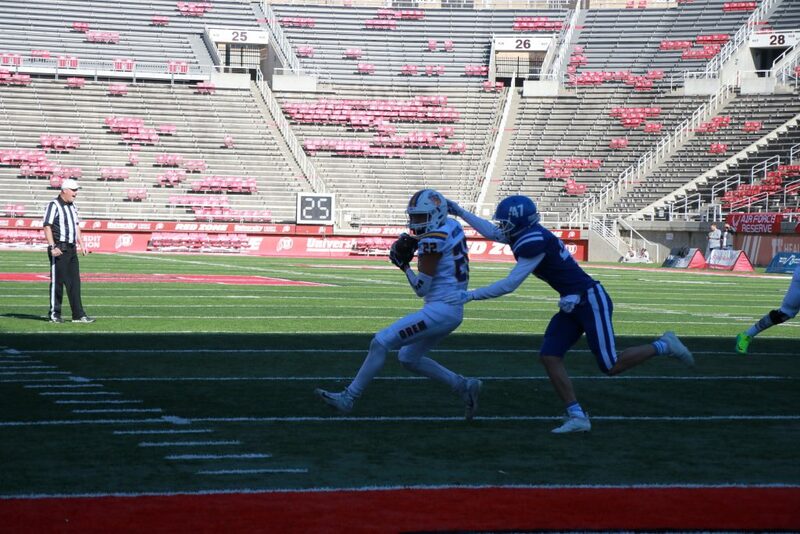 Dixie went three and out on its first possession, punting the ball back to Orem. 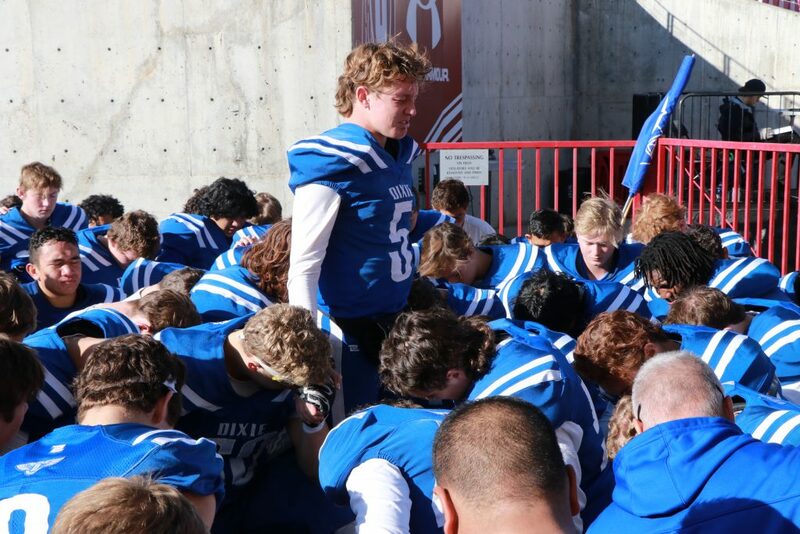 The Tigers’ next drive was fraught with penalties, including two back-to-back calls against running back Noah Sewell for hurdling over a defender, a move not allowed in Utah high school football. But even when faced with first down and 41 yards to go, Orem still managed to get a first down on the next play anyway, as Legas connected with receiver Puka Nacua for a 45-yard gain that put the Tigers inside Dixie’s 20-yard line. Dixie managed to advance the ball about 25 yards on its next drive, but were forced to punt from midfield. The Tigers marched quickly downfield, ending the drive with an 11-yard TD pass from Legas to Brinton Paulson that made it 20-0. 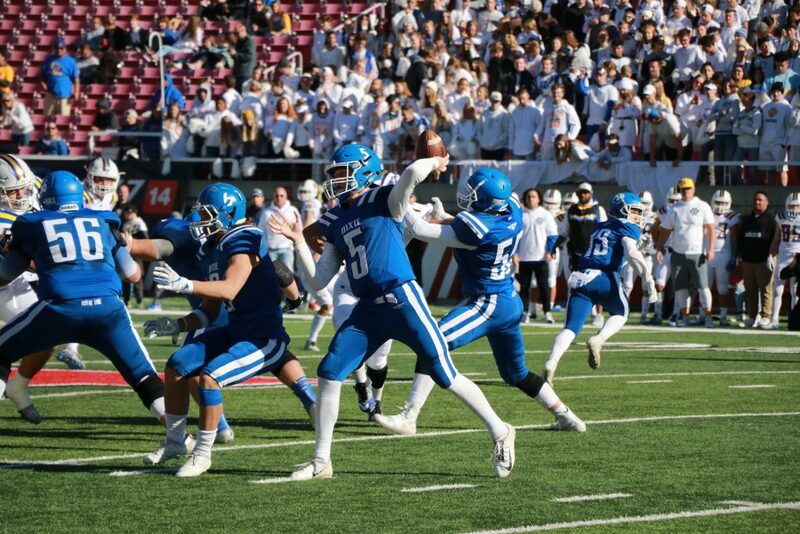 After another Dixie punt, the Flyers managed to stop Orem’s next drive, thanks to an interception by Tyson Miller. Dixie took over with 1:34 left in the second half, but ended up punting just before time expired. After being down 20-0 at the half, the Flyers got the ball to start the second half, and immediately showed promising signs by quickly moving the ball into the end zone on a four-play, 72-yard drive in the opening minute. The culminating play was a 37-yard TD to wide receiver Joshua Cazier. Dixie missed the ensuing PAT attempt on a bobbled snap, leaving the score 20-6. Orem then got right back to business, capping off an 81-yard drive with a 2-yard TD run by Trevor Rockey that made it 26-6. 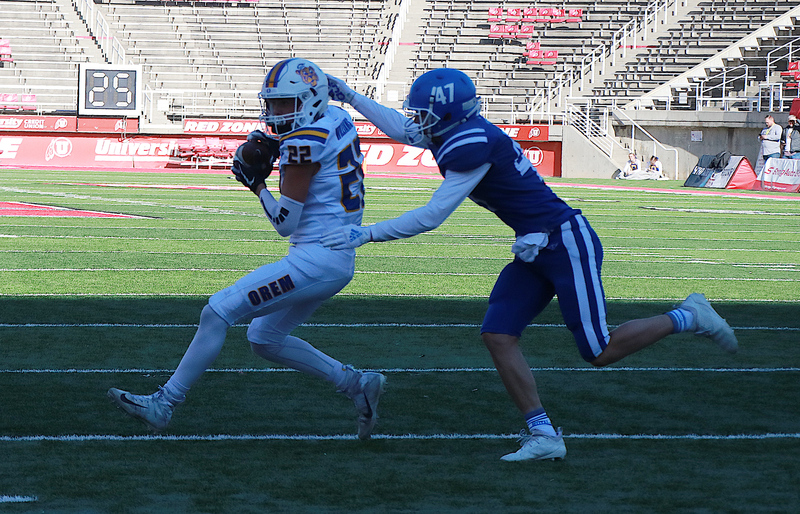 On Dixie’s very next play from scrimmage, Orem’s Buju Tuisavura intercepted the ball and ran it back 37 yards into the end zone for a pick-six TD and a 33-6 lead. Tuisavura also scored another TD on a 49-yard run late in the third quarter. During the fourth quarter, Dixie scored its second touchdown on an 18-yard run up the middle by Graff. 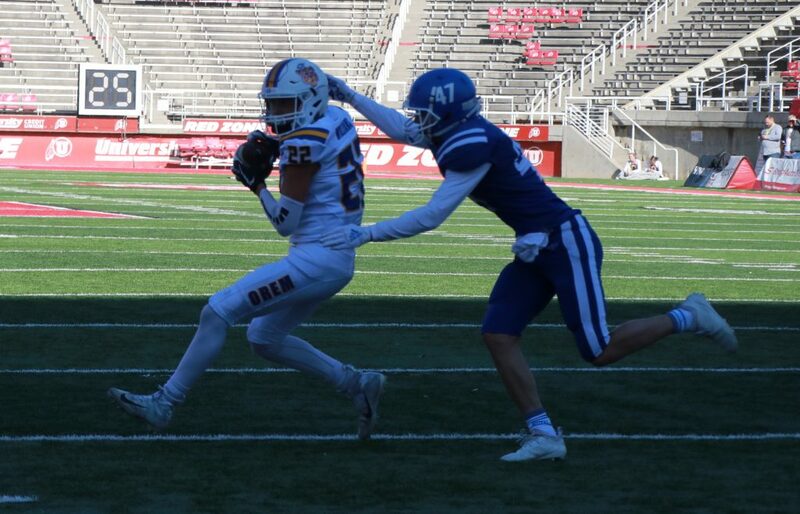 However, Orem ended up tacking on three more TDs during the final period, including one off a blocked punt that went into the end zone, to finish with a 60-13 victory. Monkres noted that preseason predictions had the Flyers finishing fourth in the region and possibly qualifying for the playoffs. 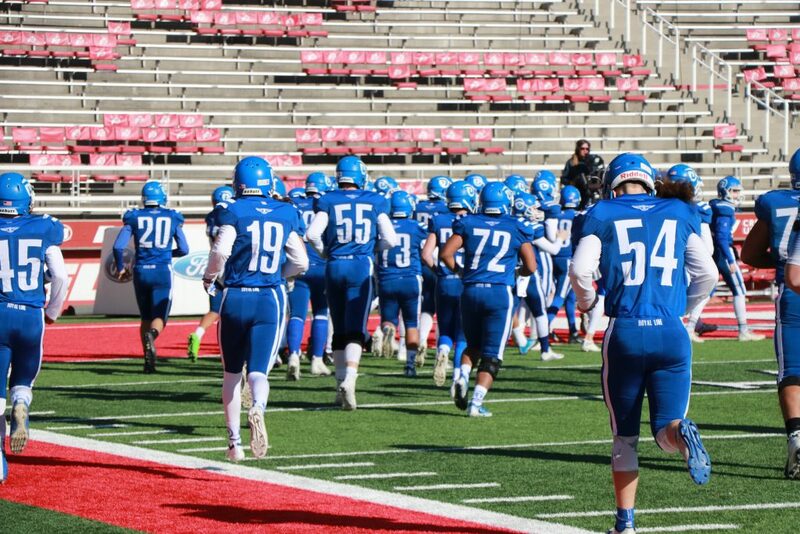 Orem finished Saturday’s title game with 573 total yards – 333 passing and 240 rushing – while holding Dixie to 217 total yards. The Tigers also had 22 first downs to Dixie’s 10. 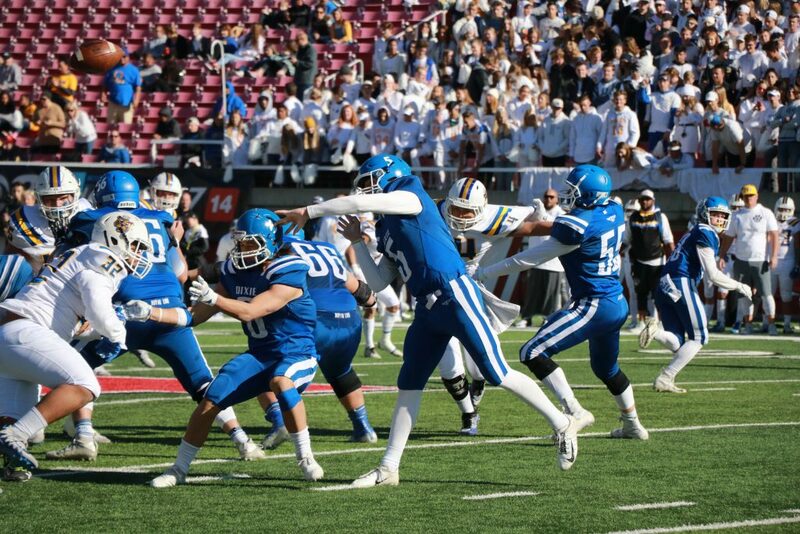 Additionally, Orem went 5 for 7 on third down conversions and never punted, while Dixie was 0 for 7 on third down and punted the ball seven times. A bright spot for Dixie on defense was the play of Ethan Emerson, who had a game-high 15 tackles, six of them solo. Offensively, Dixie’s Nate Mahi racked up 204 all-purpose yards, 141 of which were on kickoff returns. 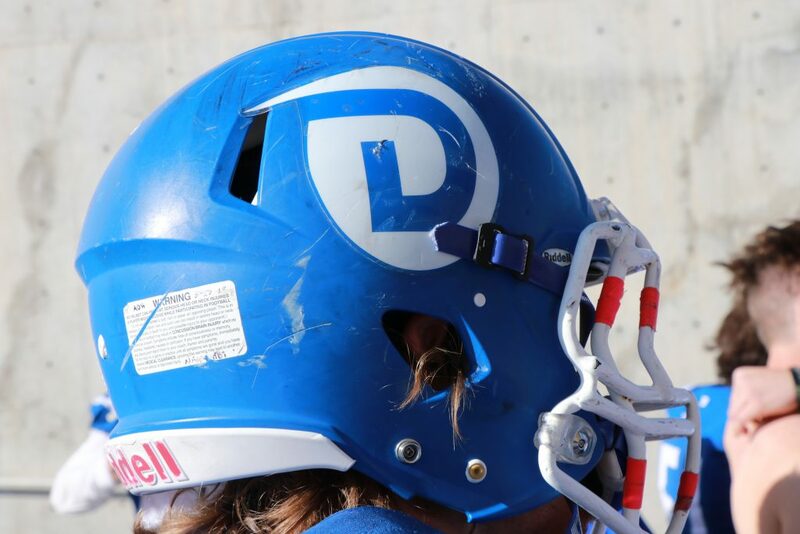 Dixie finished its season with an overall record of 11-2, which included 11 wins in a row, bookended by the two losses. The Flyers, who last won the state title in 2014, are now 8-4 in championship games.